Various factors have been shown to affect the rehabilitation outcome of hip fractured patients. Considering the decrease in muscle mass with aging and its impact on mobility, we hypothesized that a relationship exists between hand grip strength and rehabilitation outcome. Significant correlations were found between hand grip strength and functional outcomes. A significant independent association was found between hand grip strength and discharge motor Functional Independence Measure score after adjustment for confounding demographic and clinical variables. High hand grip strength on admission was significantly associated with a greater chance of achieving a favorable functional gain (OR 1.064, 95% CI, 1.01–1.13; p = 0.032). Hand grip strength was not found to be associated with length of stay. 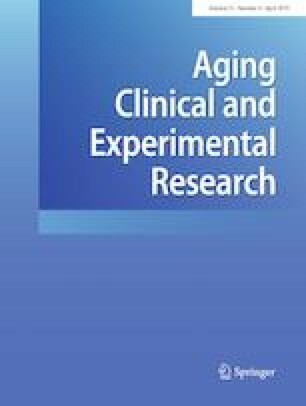 Hand grip strength is independently associated with rehabilitation outcome in post-acute frail hip fractured patients. Initial screening for hand grip strength on admission may help identify patients who require an intensive resistance exercise program. AH initiated the study, helped write the manuscript, was involved in data collection, and review of the literature. CA was involved with data collection and review of the literature. SB assisted in editing the manuscript and review of the literature. RN helped write the manuscript, review of the literature and was involved in data collection. All authors report no conflicts of interest. This work was not supported by any funding sources. This study was approved by the hospital’s Institutional Review Board (human and animals rights) #0198-18-RMC. For this type of retrospective study informed consent is not necessary.